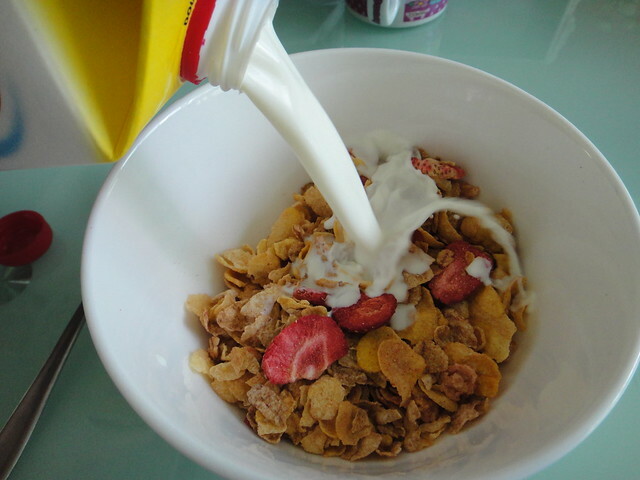 Had Post's HoneyBunches of Oats for my breakfast! 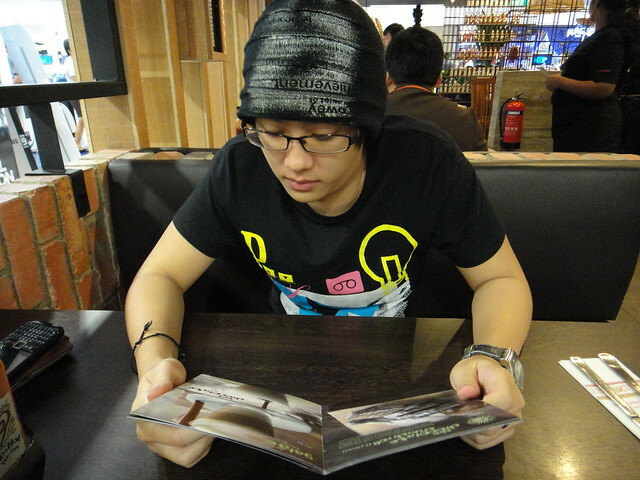 In the afternoon, i met baby and we caught the movie "Thor". It was pure awesome, you guys should watch it too! Chris Hemsworth who acted as Thor, had gorgeous sparkling blue eyes. Everytime he speaks, i'd be looking into his sparkling sapphire eyes. 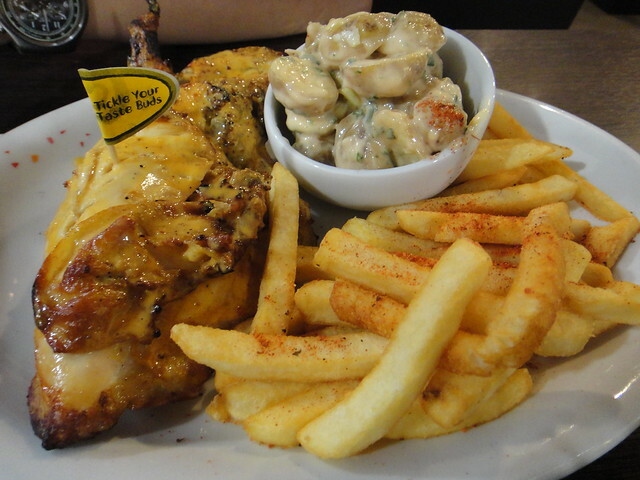 For dinner, we were deciding between Manhattan Fish Market or Nandos'. In the end, we chose Nandos'. We were there slightly before the dinner crowd. 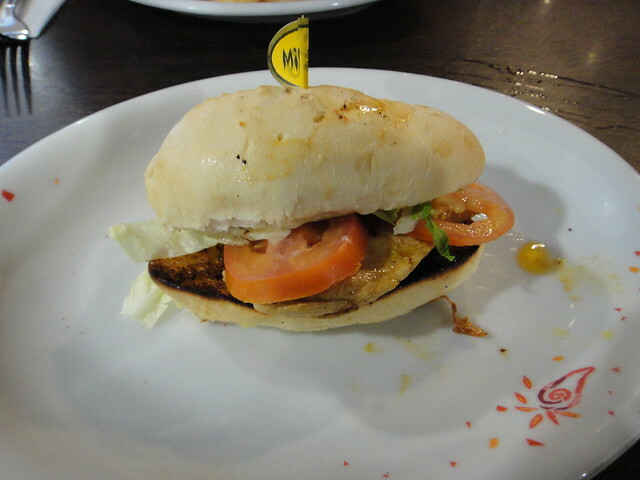 Baby's 1/4 Grilled Chicken looks more appetizing than my $10+ lonely burger. The pictures above proves it. I should have ordered the 1/4 Grilled Chicken! The queue for Nandos' was pretty long, even after we ate finished. 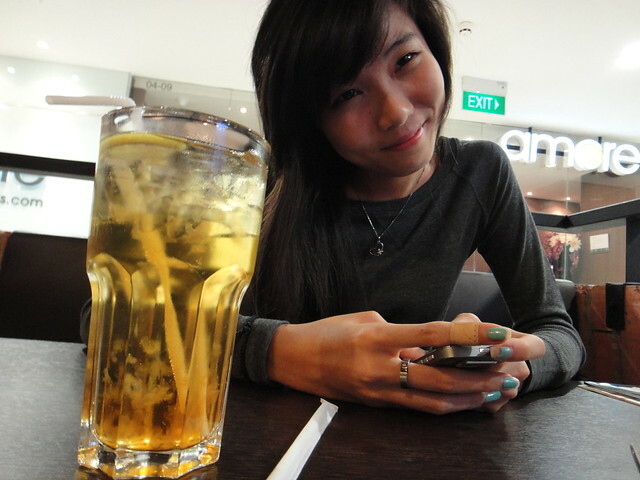 Im off to pick daddy at airport and have delicious supper! Till next post, Tickle You Taste Buds!